All products we sell are hand blown glass, and most glow in the dark. 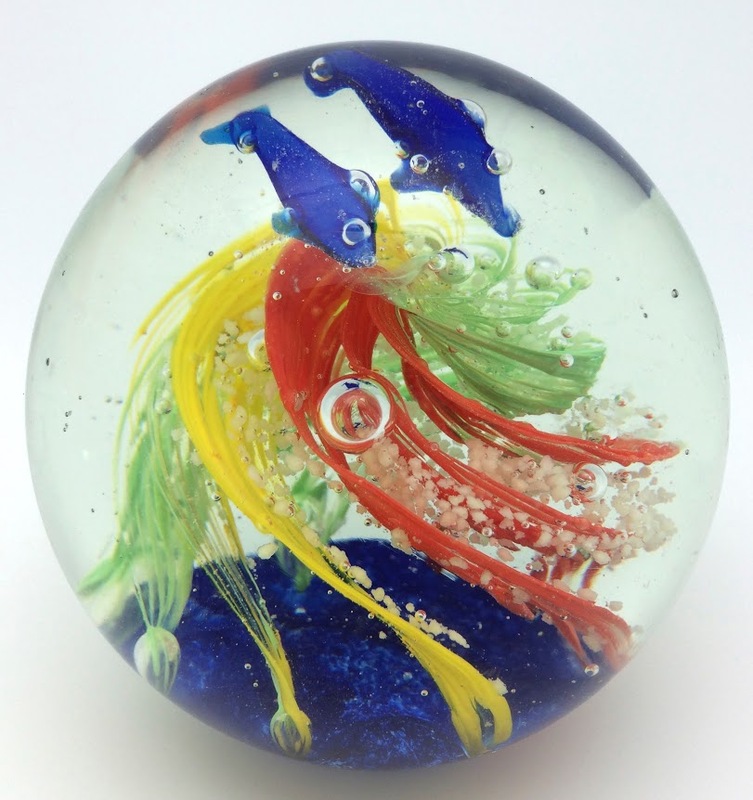 We work with the glass artists in the designing of our pieces. Our products are made of quality solid glass, and are very durable. Our glass art will never shatter unless it was put under extreme conditions. The glow in the dark material is phosphorus. The white crystals you see throughout the glass is what glows in the dark. When phosphorus is exposed to light during the day (or a lamp at night), it will glow for an hour or more. Because everything is hand made, each has unique characteristics.